Make your next new mattress the best possible mattress. There are lots of options when it comes to mattress materials and designs (innerspring, memory foam, pillow top, etc.). Each type has different properties that make it particularly suited for a certain type of sleeper. As you search for your type, be sure to consider the advantages of a natural latex mattress. It could be the option that finally upgrades the quality of your sleep night after night. What are Your Sleep Needs? Some people like the pillowy, cradling quality of a softer mattress while others prefer the support and pressure relief of a more firm option. Along those lines, some people like one option but have a bedmate who prefers the other. One of the major advantages of natural latex is that it bridges the gap. The sleeping surface is soft enough to be comfortable but firm enough to maintain posture and take weight off of pressure points. Everyone sleeps more comfortably. Would Your Prefer to Sleep Sustainably? All latex is a product of the rubber tree. When fillers are added to the raw material it produces synthetic latex. Many people have sensitivities to this product, and considering the process it cannot be considered sustainable. Natural latex, by contrast, is made almost entirely from the raw material, producing a product that is essentially organic. You have less to worry about from allergies and irritants, and you can feel good about doing something positive for the environment. Are You Shopping for the Long Term? It’s true that the cost of a natural latex mattress can be higher than other options. But it’s also true that the durable nature of natural latex gives these mattresses a lifespan two to three times longer than other options. The upfront expense of this type of mattress may be high but it the years you get to enjoy it make it worth the cost. You also save yourself from more of the sleepless nights that come from lying on an old, worn out mattress. The stable quality of natural latex makes it great at canceling out disturbances in the bed. If you share the bed with a partner – human, pet, or both – and regularly get woken up by their movements, natural latex provides peace. Your side of the bed stays still even when your partner is tossing and turning or getting up in the middle of the night. 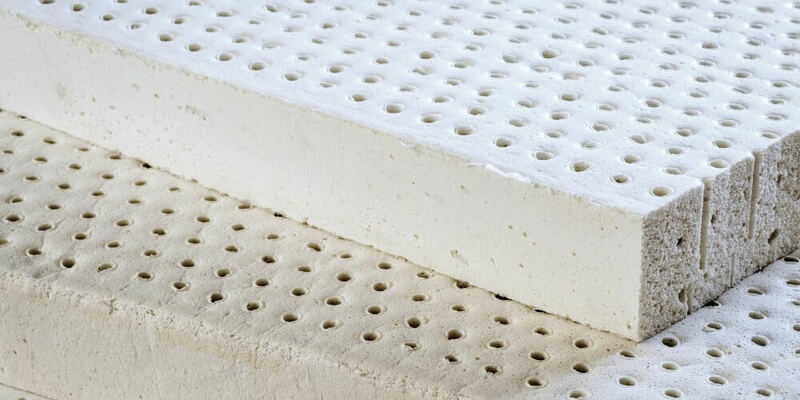 Natural latex has a lot to offer but know that not all natural latex mattresses are created the same. Rather than settling for a mass produced option, go with a handmade, expertly crafted mattress from Beloit Mattress. We have options to suit your needs, all at factory-direct prices. Get a better mattress for even less by taking advantage of limited-time offers. Consult our free Mattress Buying Guide to get advice and assistance from our team of mattress experts.